I have a bit of a confession. A "new" friend came to live with me last week. Meet Betty Bee. 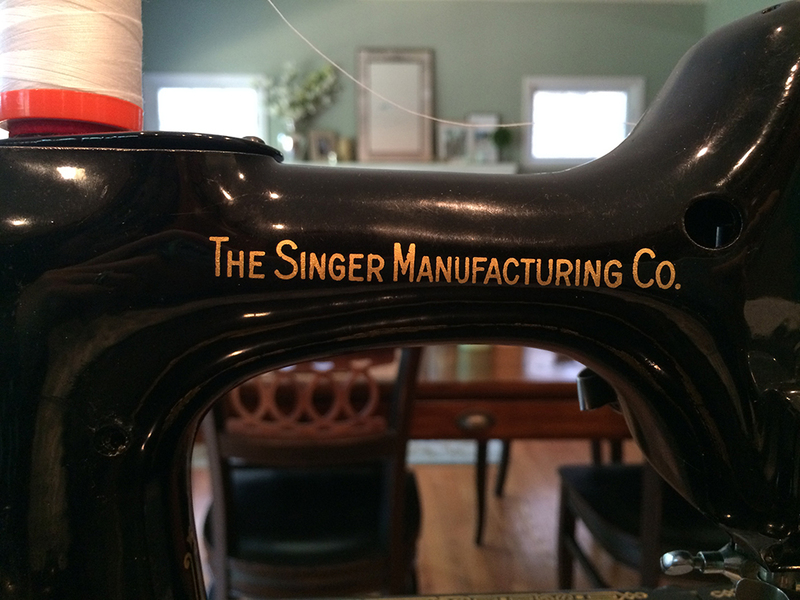 She is a Singer Featherweight 221, born in 1950. Sharing her this week is sort of timely, as yesterday was the anniversary of Isaac Singer's patent of the sewing machine. A few weeks ago, during my weekend in Wisconsin, I spent some time eyeing Jeni and Holly's featherweights. Such great machines, and wow, just amazing that something with that many moving parts 60, 70, even 80 years old can still work perfectly! 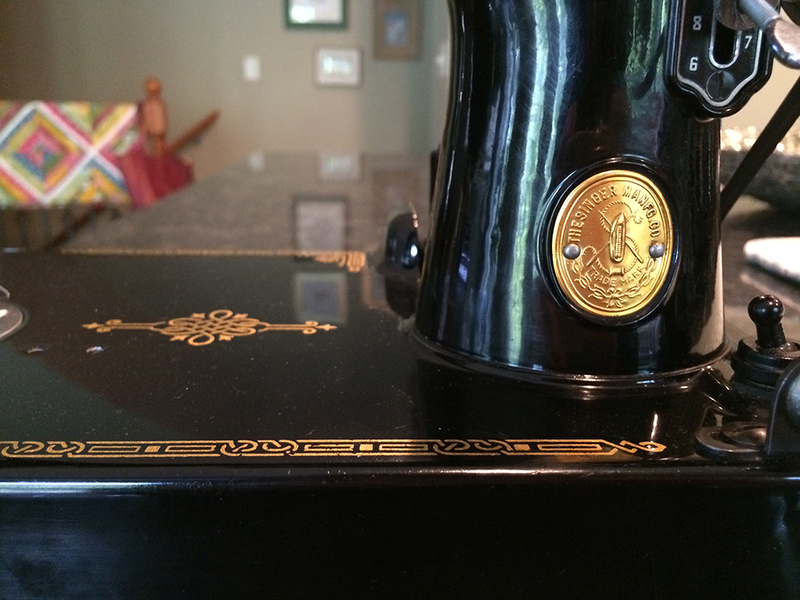 I decided that a Singer Featherweight would be a perfect travel sewing machine...and even a "kitchen table" sewing machine. My house is tall and narrow, so my sewing studio is up on a third floor. I love the idea of having a permanent, lightweight machine that I can stitch on in the kitchen when the kids are home, and then store away on a book shelf when not in use. I know a lot of these machines are listed on eBay, so I started there. I was pretty overwhelmed and honestly, I am not an eBay person. Just tell me the price and end the games! :) But after looking over listings and finding one that appeared to be in good shape, I did some bidding and actually won! Meet Betty Bee - named by my 8 year old daughter. Betty Bee had one owner before me, and previously lived very nearby in Wisconsin. In fact, so close that she took less than 24 hours to arrive at my house. The original owner's name was on a piece of paper in the case (that also included the name of her former employer), so I Googled her and was able to print out a little history to store with the machine. I joined a Singer Featherweight 221/222 group on Facebook, which has awesome information in the Files area related to the machine. I also followed some online videos to help me clean her, switch the bulb to an LED, and replace the felt drip pad. (I bought the bulb, felt and a couple other maintenance items at April 1930's Featherweight Specialty Shop.) She came with the original manual so I used that to make sure she was oiled and lubed in all the right spots. Besides apparently being addicted to sewing machines, I also have a weakness for Lululemon. 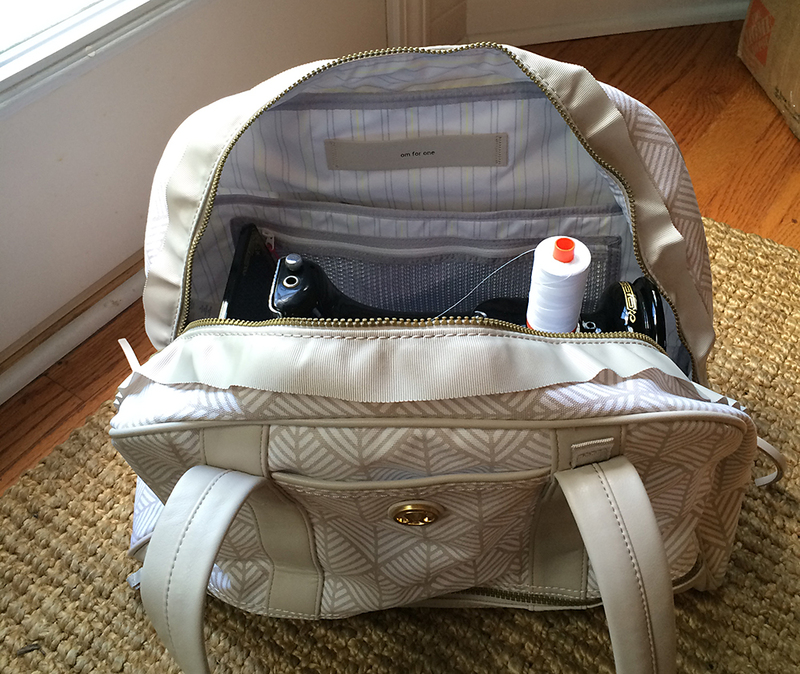 I managed to get a bag there that fits Betty Bee and some supplies perfectly. Here it is, next to the original case. I am sure you will see more glimpses of Betty Bee popping up here and there. She came with a bunch of presser feet, some look more like torture devices. But I'm guessing I will mostly piece with her.